Put all of the remaining ingredients in a food processor and blend to a cheese consistency – 4 – 5 minutes. I add the water last and adjust until I think its the right consistency to schmeer on the kale. I taste as I go to determine the final amount of spices needed. 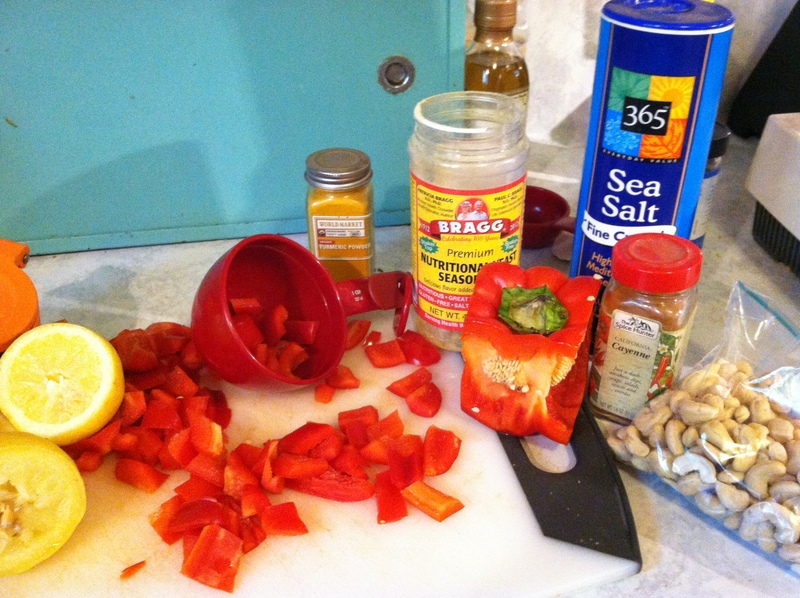 If it tastes bland add more nutritional yeast, salt, pepper or cayenne. 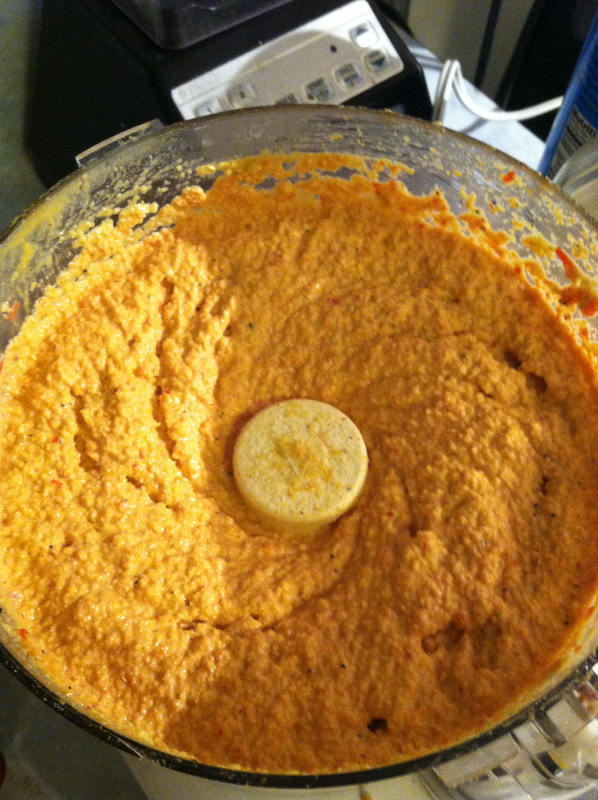 (I also add turmeric) It should be a nice nutty rich thick cheesy sauce and will fill the whole food processor! In a separate bowl place 1/4 of the kale halves and add 1/4 of the cheese mixture. To mix this is not a dainty job you must really mix and squeeze the kale and cheese mixture. You want to thickly coat the kale with a good layer of the mix. The more you squeeze it together the better your chips will be. Don’t worry you will not damage the kale! 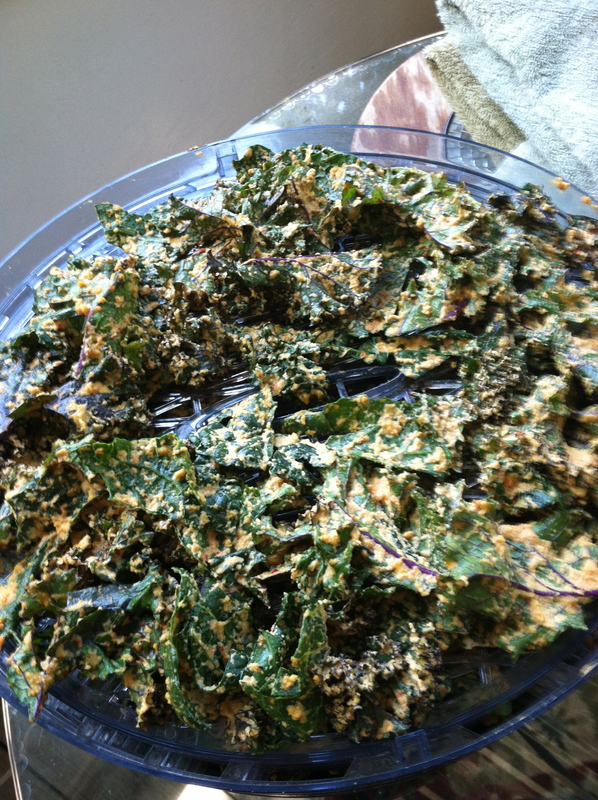 Spread fully loaded kale gently on your dehydrator sheets and repeat the processes 3 more times until all your kale is used and your dehydrator shelves are full. I fill all 5 shelves with the chips. I put it on medium heat for about 6 hours and check on their crispiness. Then turn it down on low for a few more hours to ensure they are truly dried. Then I proceed to pig out and enjoy the bags of goodness. Make sure not to close them in a baggie until they have cooled.